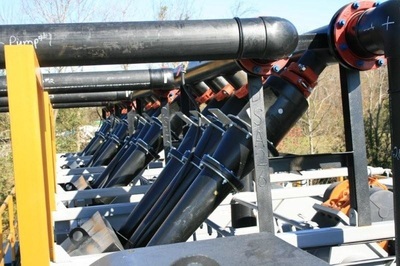 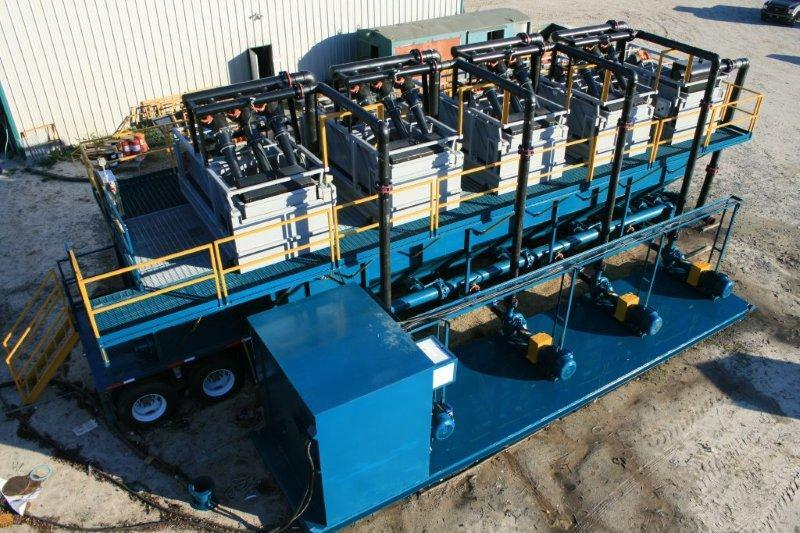 DEL’S patented Total Clean System is the most valuable component of any dredge dewatering project besides the dredge itself. 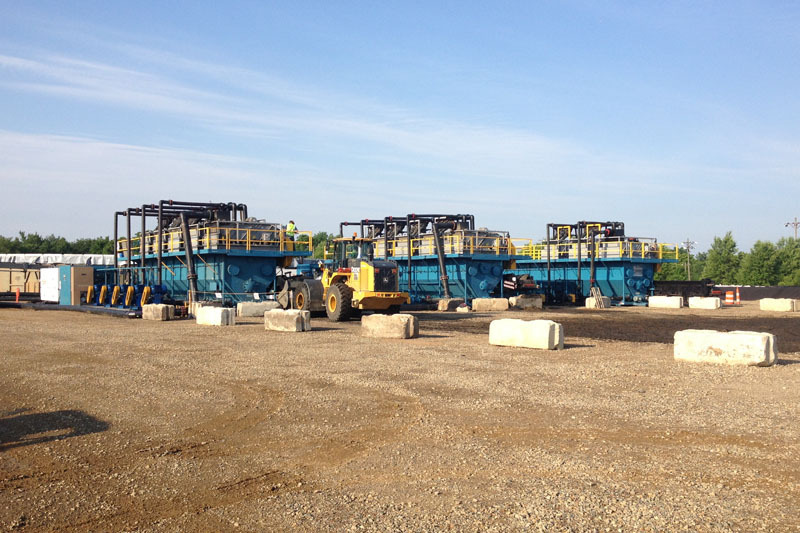 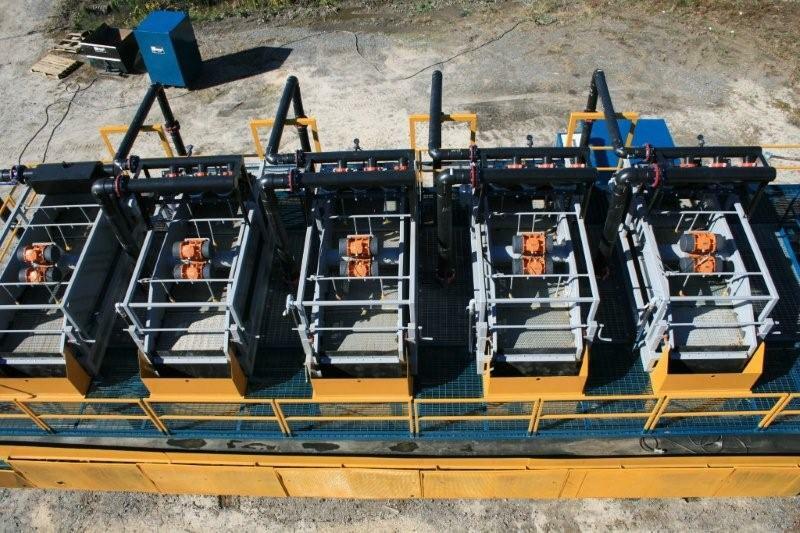 On most dredging projects the Total Clean System will remove and dewater 60% or more of the dredged material and at a cost much less than any other dewatering method. 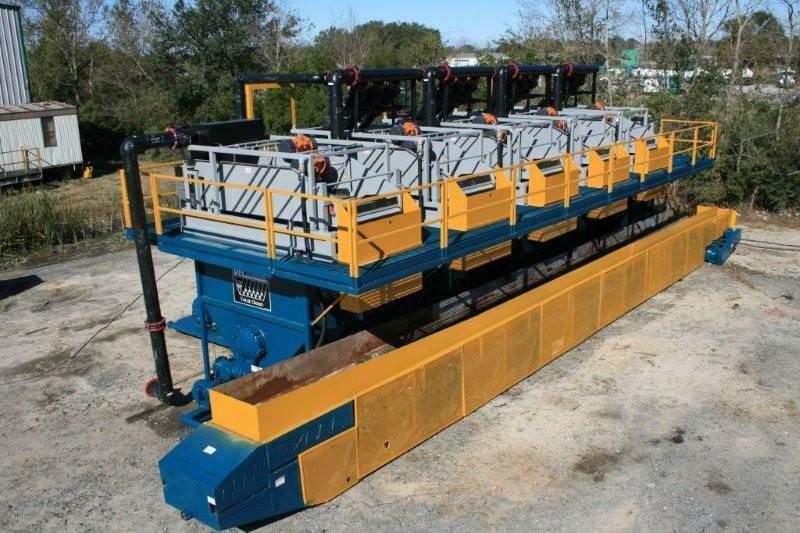 The Total Clean will receive the initial flow directly from the dredge and remove all the oversize debris, usually +1/8”. 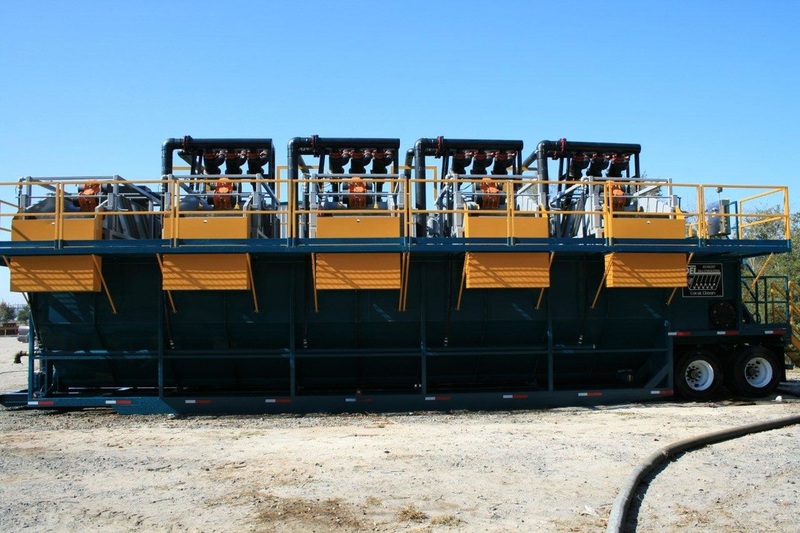 The remaining slurry is then pumped to the hydrocyclone/shaker units where typically the sand fraction, +74 microns is removed. 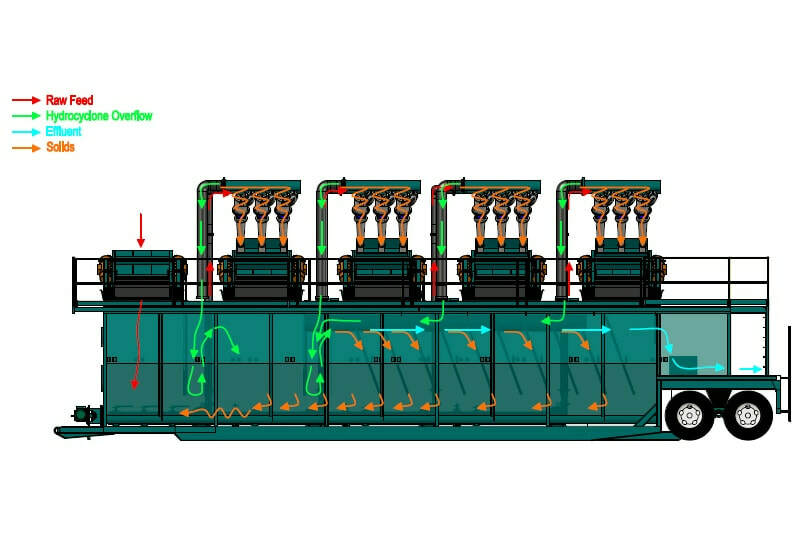 Any solids remaining in the hydrocyclone overflow and screen underflow then flows through the tilted plate baffle section of the V-Tank. The remaining solids settle and are conveyed to the pump suction of the recycle pumps by the shaftless auger and then through additional sets of hydrocyclone/shaker units for additional removal of solids, down to +37 microns in some cases. 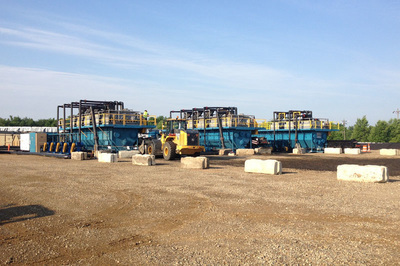 The effluent overflow from the Total Clean can then be treated with polymer and pumped to one of DEL’s Clarifier/Thickener Tanks where the remaining solids would settle and the thickened underflow can be pumped to geotextile tubes, belt or filter presses, or centrifuges for final solids removal. The Total Clean can be used in conjunction with other dewatering methods such as geotubes, filter presses, belt presses, centrifuges, sand filters, etc. 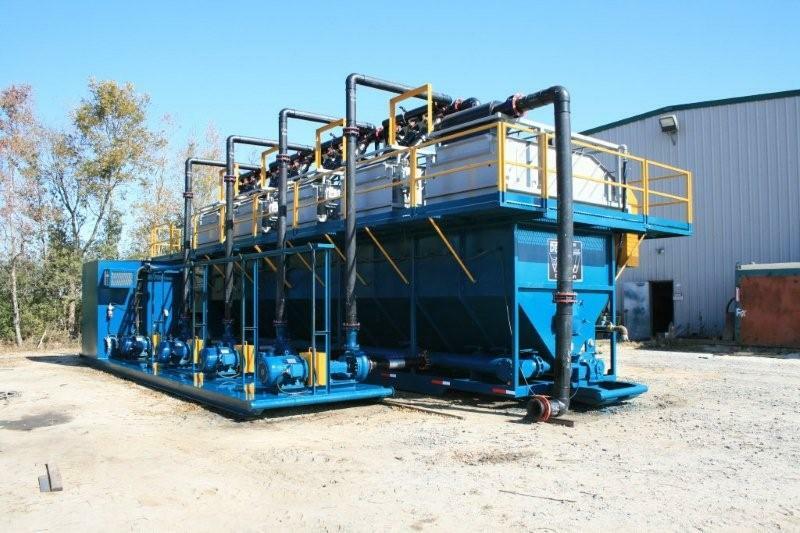 in order to produce a "drinking water" clear effluent if necessary. 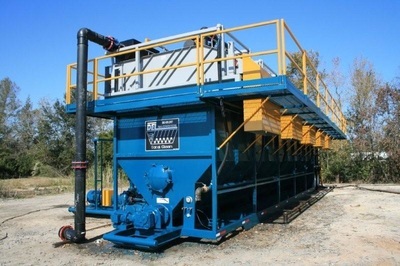 Solids removed are dry enough to pass paint filter test and haul off immediately. Sizing of material can be accomplished in order to recover or recycle valuable resources. 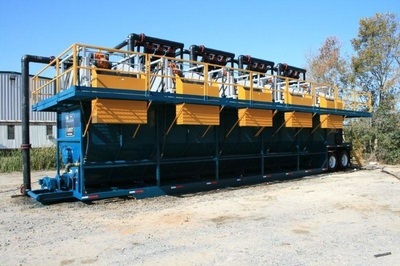 Dewaters more material faster than any other system. Can handle flow rates that other dewatering methods cannot. 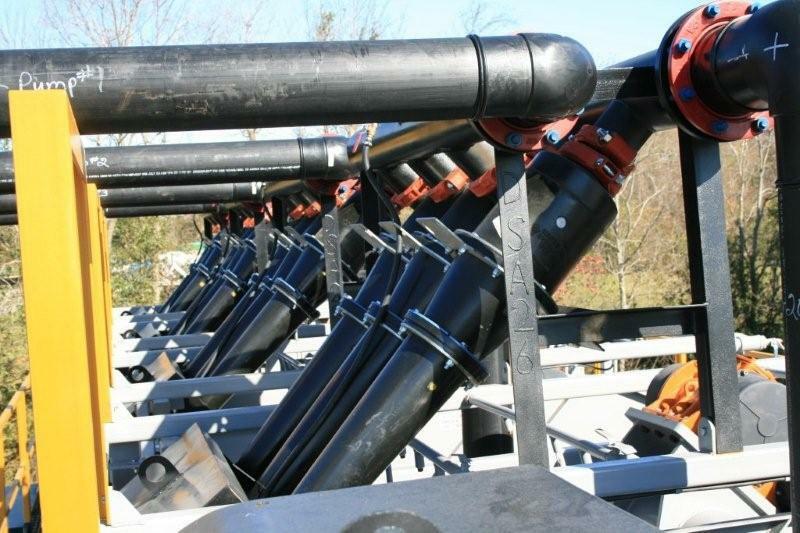 Cost less than geotubes and Polymers in most cases. Very mobile, can be setup in a matter of hours. Very small foot print required. Extremely quiet operation, suitable for sensitive residential areas. Recover material as fine as 400 Mesh. 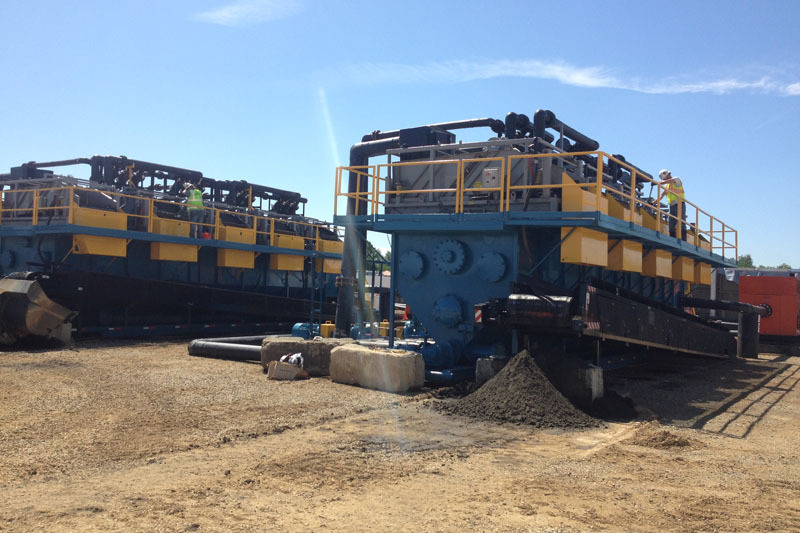 Typically we see 75-85% dry solids coming off the shakers. 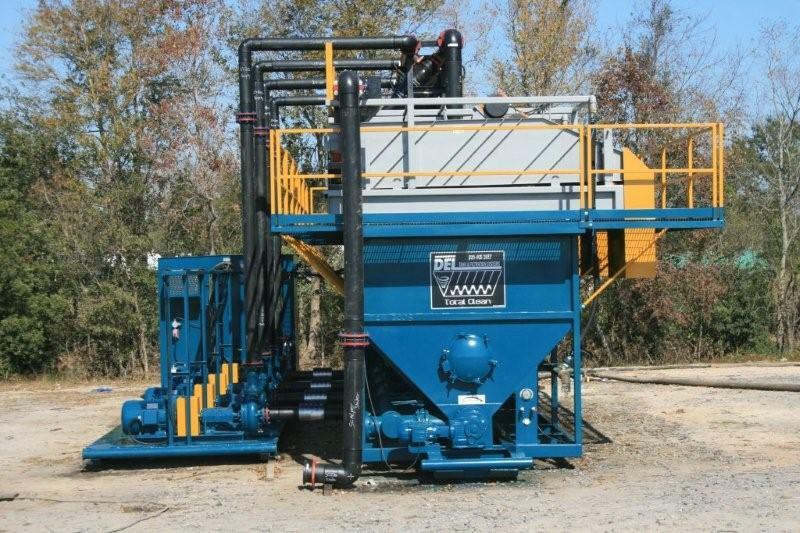 Uses: Sand and Silt, Coal, Carbon Fines, Coke Fines, Cat Fines, Fly Ash, Bottom Ash, Hog Waste and much more!